The first steps of executing your digital strategy include gathering information about your business and your competitors and then analysing it to determine future opportunities. Once you have a clear understanding of the business and its position within your market, you need to identify what your company’s objectives are and if they are still valid for your business model moving forward. This includes both offline and online objectives. Business objectives can be seen as the stepping stones to broader business success – a breakdown of desired outcomes that will fuel the direction and larger goals of the business. Your objectives may cover sales and profit and could also focus on moving into a new market or channel, the development of new products or increasing end-user engagement. For example, a business may wish to increase operational efficiencies or improve customer experience overall. Digital may help facilitate this through automation to improve customer service turnaround times and increasing satisfaction and reducing touch points. When considering digital, your objectives may also include, increasing brand awareness, fulfilling lead conversions, as well as sales and audience creation. The importance of creating an addressable audience is on the rise as more businesses are beginning to consider a direct-to-market or subscriber model. An example of this is Dollar Shave Club, who market and sell directly to their audience through their online platforms. This is seen as a treasured asset because it provides your business with data and information that you may have never had when selling your products or services through distributors. An e-commerce solution could also be included as an objective as part of a broader digital strategy. Businesses have begun investing in e-commerce platforms as a way to drive sales and reduce costs by selling directly to their customers. This has also become a tool for companies to help gather data on their audience. Once you have a strong picture of what your objectives are, review them and ensure they provide a clear direction that you want your business to go in. 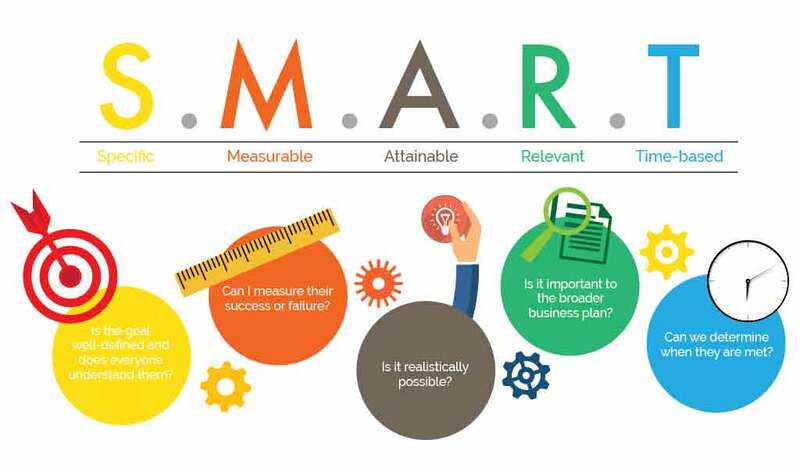 When you review the objectives, consider the SMART objective model. Meaning, your objectives must be specific, measurable, attainable, relevant and time-based. Once you have developed a thorough understanding of the objectives your company will be working towards, it paves the way for you to set and organise your digital strategy vision and internal and external views. In step four, we will provide you with tips on how to set your business’ goals and guidelines on how to integrate them into your business’ digital strategy.